1. Create an API Member. The Members screen can by found by going to the System Module and opening the Members page. After accessing the Members page, click on the API Members tab. Here you can create a new user and generate API Keys for them. For the API Member there is no naming convention that should be followed. You can either choose to create a member strictly for DD to use as an API member, or you can create a generic API user. You can even use a regular (already existing) member account to create the API key, as long as it has Admin level access. 2. Under API Members, go to API keys, and add a key for the API member you created. 3. Make sure to write down the private key somewhere else as it will only show up when it is created. 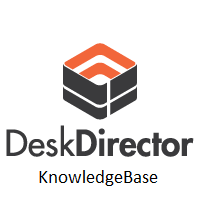 If you are migrating from SOAP to RESTful, then you will need to add the Public and Private key to your DeskDirector Instance. If you are a new client, then just add the details to the sign up form.